Earlier this week, Chinese developers disclosed new iOS malware called XcodeGhost on microblogging service Sina Weibo. U.S. cybersecurity firm Palo Alto Networks has since published details about the malware. MacRumors has created a FAQ so you can learn more about XcodeGhost and how to keep your iOS devices protected. XcodeGhost is a new iOS malware arising from a malicious version of Xcode, Apple's official tool for developing iOS and OS X apps. A malicious version of Xcode was uploaded to Chinese cloud file sharing service Baidu and downloaded by some iOS developers in China. Chinese developers then unknowingly compiled iOS apps using the modified Xcode IDE and distributed those infected apps through the App Store. Those apps then managed to pass through Apple's code review process, enabling iOS users to install or update the infected apps on their devices. iPhone, iPad and iPod touch models running an iOS version compatible with any of the infected apps. The malware affects both stock and jailbroken devices. XcodeGhost potentially affects more than 500 million iOS users, primarily because messaging app WeChat is very popular in China and the Asia-Pacific region. Which unofficial versions of Xcode are affected? All unofficial versions between Xcode 6.1 and Xcode 6.4. Can XcodeGhost affect users outside of China? Why would some Chinese developers download Xcode from Baidu? Xcode is a large file that can take a long time to download from Apple's servers in China, leading some developers to download Xcode from unofficial sources. How are Apple and Chinese developers dealing with XcodeGhost? How do I protect myself against XcodeGhost? iOS users should immediately uninstall any infected iOS app listed here on their devices, or update to a newer version that has removed the malware. Resetting your iCloud password, and any other passwords inputted on your iOS device, is also strongly recommended as a precautionary measure. Developers should install official versions of Xcode 7 or Xcode 7.1 beta from Apple's website for free and avoid downloading the software from unofficial sources. darn it, I thought only android gets malware. Seriously what developer who knows anything about security is going to download an IDE from a non official source? That's like downloading an OS from The Pirate Bay and being shocked the file was injected with malicious code. i'm sorry but how can a developer be such an idiot (please don't ban me, there's no other word to describe patient's condition) to download Xcode from a chinese cloud file sharing service???? iOS users should immediately uninstall any infected iOS app listed here ('http://researchcenter.paloaltonetworks.com/2015/09/malware-xcodeghost-infects-39-ios-apps-including-wechat-affecting-hundreds-of-millions-of-users/') on their devices, or update to a newer version that has removed the malware. Resetting your iCloud password, and any other passwords inputted on your iOS device, is also strongly recommended as a precautionary measure. My thought is I am all done with any company that would use an Xcode version they got from a file sharing site rather than Apple directly. I would never trust them again. Can't you just list all 39 apps? Looks like the servers from Palo Alto Networks can't handle it. iOS has been breached through the one thing that kept us safe. The App Store. I don't think that's a correct analysis of the situation. - even when the app is on an iOS device, there are severe limits to what it can do. It still can't break out of the OS protections, randomly control the device, etc. The type of info being sent back to base is, let's face it, not THAT serious --- not ideal, but not control of the machine. - The items that ARE problematic (and which Apple should work on fixing) are items that were problematic before we knew about this, and that have been used in other contexts --- the ability to phish for passwords by throwing up fake dialog boxes, and the way the current sandboxing FORCES Password apps like 1Password to transfer data over the Clipboard. What this REALLY provides is a way to throw out a bunch of these phishing scams in a way that can't be traced back to the real scammer; only to the developer using the wrong tool. Which gets us to that issue. I don't know enough about XCode to know what was and was not breached on that front. Obviously the entire XCode package should be signed, and obviously if you're stupid enough to install an XCode package that complains about being unsigned, you're setting yourself up for trouble. But blaming the victim, especially when the security landscape changes every year is not helpful --- how could Apple do better? You can't really avoid people being able to write their own compilers and dev tools, and you can't stop those dev tools from doing god knows what to the code they create --- this has been known since Pike's infamous C compiler of the early seventies. What you SHOULD be able to do is not allow code that has been created by such dev tools into the app store. THAT seems to be the flaw that needs to be fixed --- that any tool that's generating binaries that will land up in the store needs to be provably signed. But I don't know how feasible that is. Obviously the last stage (the actual store submitter app) is provided by Apple and signed, and using the developers signature. But what about the linker beforehand? And the compiler before that? And you then need the binaries passed between the two to be encrypted? It's just totally inimical to the current expected model of how we code. So what about at a higher level? 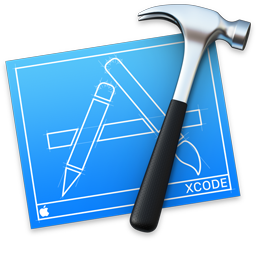 Do something that's a ugly hack, but basically FORCE that any installer that calls itself "XCode" has to be signed no matter what? That's one package that you can't install regardless of your GateKeeper settings except from Apple. But then you get a wack-a-mole of packages called "XCode 7" and "XCode!" and "XCode Pro". They should ban their in-house teams from throwing up a password request box. Absolute ban. It has got out of hand recently with stock apps asking for the password without any justification or explanation and pretty much at random. I've said it over and over, Apple have been training their users for exactly this scenario - enter password whenever anyone asks. If an app needs the iCloud password it should instruct the user to enter it in the appropriate settings page. Train users: only the settings app should be trusted with passwords. And how hard is it to actually read the original article, which addresses this? Why can't Apple sign the Xcode so it will only work if it's downloaded from Apple servers ? If infected apps can pass through Apple's iOS app gates it undercuts Apple's security rational for insisting on a Walled Garden. No, it doesn't, because once Apple recognizes that kind of a problem, they can also fix it from that one central location. Without that "walled garden" approach, every user would now have to install a malware scanner and hope that it will get updated with profiles for the new malware. Admittedly I know zip about coding but seems Apple is betraying it's users here and could have avoided this situation. I Hopefully this is a wake up call. How could Apple have avoided that situation? How did Apple betray its users? Apple did not force anyone to download a compromised Xcode version. The only "mistake" Apple made was not to recognize the malware in the review process. But that is hardly trivial. Oh, no I just realized that you already said "I have no clue about the topic at hand, but I will make unfounded claims!" If that Chinese hacker has enough skills to bypass the Appstore review process and infect 500 million devices I'm wondering if this is just the tip of the iceberg. Right? How hard is it to type apple.com and go from there?